How would you like to get paid for staying fit and playing with a dog? Believe it or not, pet sitting is surprisingly lucrative. Becoming a dog sitter is a great way to enjoy the companionship and fun of spending time with dogs without having to pay the accompanying vet bills. The daily walks are a great way to stay fit for free, and you can easily fit your responsibilities around job commitments or stay-at-home parenting. Plus, you make great money just by opening your home to someone else’s dog for a few nights. I earn an average of $450 to $500 a month as dog sitter, and getting there only took two months from when I handed out my first business card. Now, I have a steady stream of clients, several new friends, and a great source of fun and entertainment for my toddler. 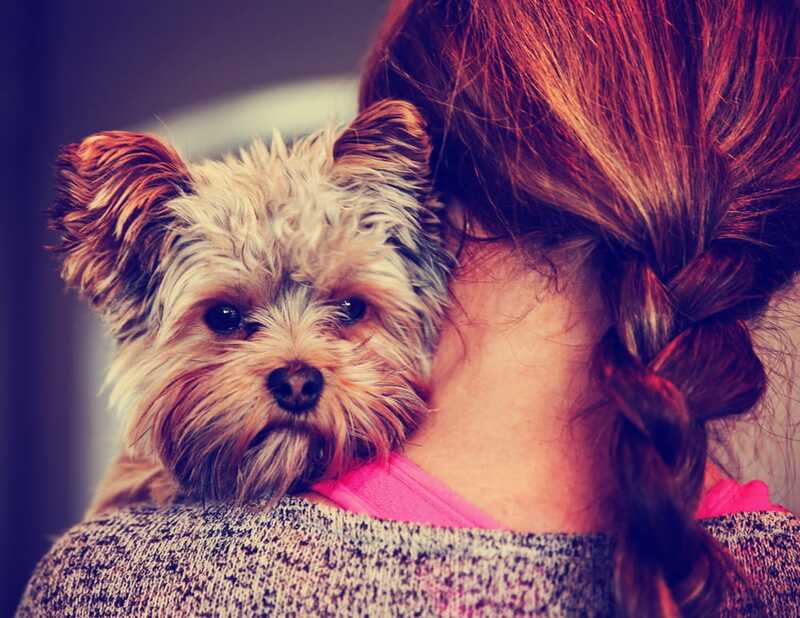 Here’s how I built my dog-sitting business as a busy stay-at-home mom of an energetic toddler. When I first started, I also posted a few pet sitter openings on Thumbtack to get a feel for the lowest price per night, as well as what services most dog sitters included with their rates. Then, I listed my own services and simply undercut everyone by $5 per night. I immediately started receiving inquiries; within the week, I was already booking overnight stays for several weeks out. Within two months, I was turning away business, and within three months I raised my prices to what everyone else was charging. At first, the only people I attracted were those who were simply looking for the cheapest price. But eventually, I started getting repeat clients, spread the word and established my credibility, so more people were willing to take a chance and hire me. By temporarily charging lower prices than everyone else, you can more quickly build up your clientele than if you’d started higher. Even if you have the perfect yard, two dog runs and five separate kennels, start out cheap and build up your business first. You will get much more business in the long run than if you price yourself out without any credentials or performance history as a reliable pet sitter. They key word here is “temporarily” — once you’ve built up your experience and have several satisfied clients, it’s time to raise your rate. I live in Southern California, so everything, from filling up the gas tank to going to the movies, costs about three times as much as it does pretty much anywhere else. The plus side is that rates for dog sitting can be higher than other areas of the country. That being said, your home’s location and amenities matter almost as much as far as pricing goes. I’ve found people are usually willing to pay a bit extra if you have a few more dog-friendly amenities, like a higher-end house, a big yard or a dog park right down the block. They say love is blind, and dog owners fall in this trap when it comes to realistically describing their dogs. Read between the lines of their profiles and don’t be afraid to turn away dogs that won’t be a good fit for your home and lifestyle. When I first started dog sitting, I definitely took in some dogs that, in retrospect, I shouldn’t have. For example, watching a puppy involves a lot more clean-up around the house and several loads of laundry, compared to watching an older dog who sleeps all day. If possible, I always try to do a meet and greet with the owners and their dogs before the actual stay to make sure the arrangement will work for both of us. For instance, I have a toddler, so every dog that stays with us must not only be kid-friendly, but specifically toddler-friendly. We also live in rather tight quarters, so hosting a large dog, as much as I love them, isn’t really an option for us. I make these restrictions clear over the phone and on my profile, yet it is amazing how many times people have shown up with dogs who tower over me and pee all over the house, while the owners swear they are perfectly well-behaved, house-trained tiny dogs. At first turning down these dogs was rather discouraging, but within the next few days, I always found another that was a better fit for me. Don’t be afraid to turn business away; if it’s not a good fit, it isn’t worth it. Besides the obvious benefits of being paid to get outside with a cute dog at your side, the big plus of dog sitting is its flexibility. It can be as profitable and serious a business as you make it. I only pet sit to make money on the side of full-time parenting, but I was inspired by several stories of people who actually quit their full-time jobs because they were making more money as pet sitters. For example, Jennifer Tserng said she charges $32 a night and makes more money as a full-time dog sitter than she did as a medical examiner in Seattle. If you want to continue to expand your business, the possibilities are endless. Invest in some used dog equipment and toys to outfit your yard. Hand out flyers and business cards with promo codes at dog salons, pet supply stores and humane shelters. Add dog walking to your list of services, or start sitting for pets in their own homes in your neighborhood. Become a registered sitter on other pet-sitting sites, or even work as an independent contractor for another dog-sitting business; many subcontract work, and after a brief home inspection and interview, you could be on call for them as well. Even if you don’t quit your day job, you can still have a lucrative side job as a dog sitter — and get paid to play with dogs and stay in shape. Your Turn: Have you worked as a dog sitter? What did you charge for your services? Bryn Wied is a stay-at-home mom whose love of travel and budgeting needs only grew when the kids started coming. You can find more thrifty travel parenting stories, ideas and tips at her blog at Wanderlust Parenthood.